NOW 17 – Just what is it that you want to do? Now! That's What I Call Music 3 - Can U Pig It? Is There Something I Should Know?… a brief introduction to NOW! Now That’s What I Call a Playlist! 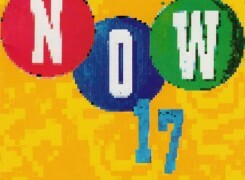 A personal journey through 30 years of Now!